ddup which has built a reputation for being the leading provider of startup, ICO, cryptocurrency analyses, and investments in the whole world recently added cryptocurrency ratings to the wide range of services available in its platform. The platform’s proprietary strategy makes use of a specially designed algorithm to establish price tag by rating the world’s top twenty-five cryptocurrencies at a given time. The new cryptocurrency price target rating technology is targeted at helping investors to access cryptocurrency ratings and make better and more effective decisions in the cryptocurrency market. “Our new cryptocurrency price target determination and rating methodology represents the extension of our market-leading startup rating system. At such, it gives investors the opportunity to access ratings and helping them to fuel better investment decisions, especially in the blockchain technology space”. 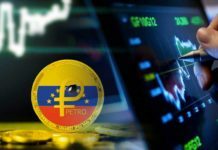 The platform also reflects changes in the price and value of cryptocurrency for the periods of one day, weekly and monthly using the price targets and fluctuations as its base. It also helps to rate whether to buy, sell, or hold investments in any cryptocurrency. With this invention, Oddup hopes to satisfy its clients more and provide a more up to date data to the users of the platform. Speaking on this development, Jackie Lam who is the COO and also a Co-founder Of the firm says, “Our users consistently demand and require up-to-date data, so we want to make our data relevant to arrears of their needs”. The addition of Cryptocurrency rating is one of and the latest step out of the very many that has come and more that are yet to come aimed at a larger plan that is set to continue unfolding in the coming months which are supported by the platform’s robust data, research, sales, analyses, and marketing teams. These additions were necessitated by the lack of a methodology that could accurately analyze cryptocurrency movements prior to this time which triggered a lot of discussions and concerns over the volatility and high risk involved in the cryptocurrency market. However, these new additions by Oddup will sure revolutionize the world of cryptocurrency and make analyzing the movement of cryptocurrency prices and values a lot easier. Visit oddup.com/ for more information about Oddup, its cryptocurrency ratings and other investment insights, ICOs and start ups featured on the platform. Previous ReviewValPromise ICO (VPP Token): Blockchain Value Promise Deal Protocol?